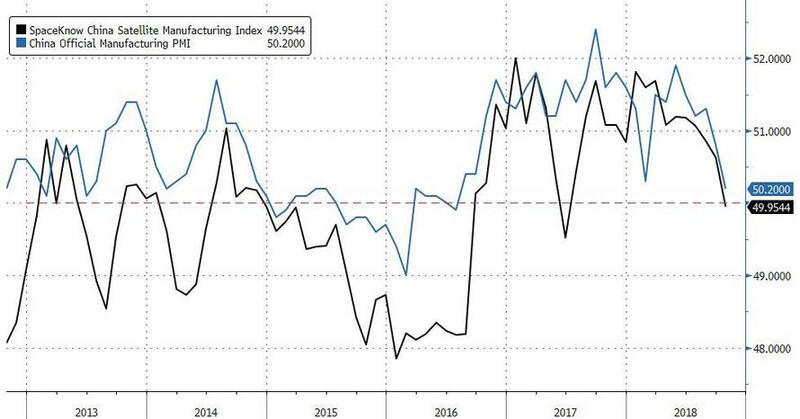 Earlier this week, first China's official PMI and then the small-company focused Caixin PMI report confirmed that while China's economy was slowing, it had yet to contract, as the (famously goalseeked) indices printed just above the 50-level which separates expansion from contraction. Not so according to a third, and more objective measurements of Chinese manufacturing. According to an index based on satellite imagery, China's manufacturing output contracted in October, refuting the official narrative of modest but persistent expansion. 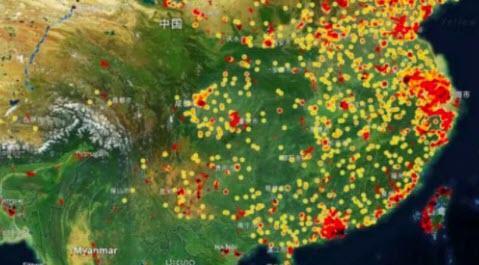 The China Satellite Manufacturing Index compiled by the U.S.-based firm SpaceKnow, which uses satellite imagery to track activity levels across thousands of industrial sites, slipped below 50 in October for the first time since June 2017 according to Bloomberg. 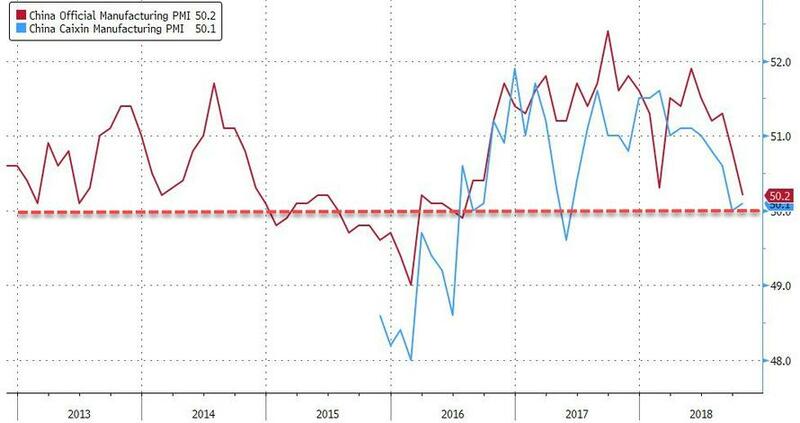 As with the official purchasing managers index, 50 is the dividing line between expansion and contraction. As we discussed earlier this week, Chinese manufacturers - long the growth dynamo of China's economy - have come under increased pressure from the escalating trade war between the U.S. and China. Trump has warned he will expand tariffs to cover all imported Chinese goods if Chinese President Xi Jinping does not accede to U.S. demands when the two leaders meet in November at a Group of 20 summit in Argentina, although as Trump tweeted earlier today, he "had a long and very good conversation with President Xi Jinping of China. We talked about many subjects, with a heavy emphasis on Trade. Those discussions are moving along nicely." The tweet sparked a broad market rally, as the Trump administration's latest attempt to talk up the market into the midterms has worked for the time being.